Like successful CEO’s, senior level appointed or elected officials (state government, local government, county government, school districts, authorities, etc.) must recognize in order to be successful they need to constantly develop better information technology systems and work flow processes that increase efficiency. 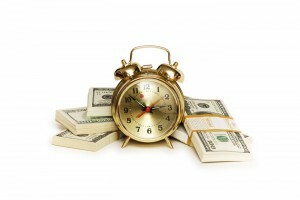 Time is money and creating efficient systems allows costs to be cut and increases revenue. Showing a futuristic look allows you a better chance to attract businesses and to draw the next generation to live in your municipality. Police Arrest Warrant File – One of many in a regional local system called METRO. Pennsylvania’s courts have a central computer system for all its information. Thousands of Law Enforcement paper warrants were sent to County and City Communications Centers annually which originated from many district courts in the region. The staff in the police agencies or Communications Centers entered these into our local law enforcement regional computer. Labels were printed automatically after each warrant was entered. Heavy duty paper file folders were used to have name labels on them and were placed in electric powered files or other files. (1) Warrants got alphabetically misfiled and were hard to find after the local computer system said the agency should have them. (2) Warrants already had a folder where the new warrants could be placed into and the labels were thrown out. (3) Warrants, labels and paper files were misplaced during the entire entry cycle. We went to a total electronic system (1) directly from the State Court computer to our local law enforcement regional computer and (2) vice versa for any updates from our local regional computer to the State Court computer. If the warrant was served by a regional police agency, an inactive status was seen on the regional system within 15 to 30 minutes after it was served by a police agency or one of the Communications Centers. All locally served warrants (s) were updated on the Court’s computer system via the next day’s file transfer. The electronic file transfer went from 18,000 active paper warrants to over 35,000 electronic warrants within 48 hours after it begun and was able to allow us to halt the inefficient paper process. The computer is close to 100% accurate and no misfiles or problems with paper. Personnel were able to spend more time on dispatch, 911 calls, other City emergency calls, and have more time to work with officers. If you increase a person’s efficiency in a positive way by 25% not only is the client happier but also employees find their job more fulfilling. Your government brings in more revenue with the same level of personnel and you do not face hearing the “Double M” complaint – more money, more people, more taxes, and more of the status quo. Caveat – Just because a person tries to sell you efficiency it is absolutely necessary, even if it means getting a consultant from the outside to take an independent look, to make sure the system(s) proposed can be implemented to give the results intended. Images courtesy of http://www.appliedimagingpaperless.com/images/icon_digital_filing.jpg and freegreatpicture.com.